At San Pedro Smiles, our team strongly believes that it’s never too late for patients to regain strong and capable smiles that they can rely on, even after experiencing significant tooth loss. Dentures have been an age-old solution to this problem for countless years now, and our modern prosthetics are better than ever in terms of aesthetics, durability, and reliability. Contact our San Antonio, TX office today if you’d like to schedule a consultation. 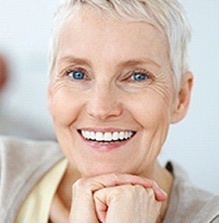 Are Dentures a Good Choice for Me? 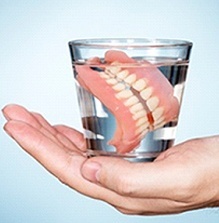 Dentures are highly affordable and convenient to use. Dr. Gonzalez offers full models (meant to replace an entire row of teeth) and partials, both of which can be removed whenever a patient desires. They are meant to be stored when sleeping and practicing oral hygiene. If you’re interested in more permanency, implant-retained dentures are also an option. By attaching the prosthetic to a small number of dental implants, patients can enjoy added biting strength and less unwanted slippage over time.